Some of the most profound teachings have manifested as a result of heartfelt inquiries from ones seeking illumination on a particular subject. Weaving timeless Truths into sage counsel, Louix empowers everyone to attain self-mastery over life circumstances. He selflessly offers his wisdom to all who seek his guidance with an open heart. 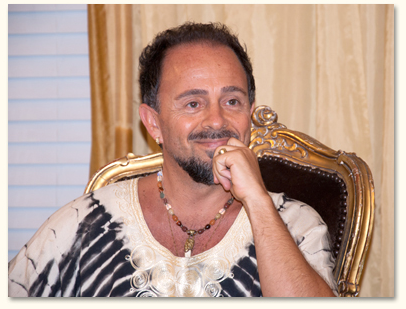 This section provides a forum to pose your questions and engage with the Master. Can you see into the afterlife? Can singing be used to heal myself? How do I connect with God when I am around people? How do I recognize the true cause of my emotions? Does healing myself really heal and bless those around me? How do I deal with autism in my child? How do I develop the siddhis that are inside of me? How do I make myself like things I don’t like? How do I stop hurting my children? Is my new girlfriend my twin flame? What are all these circles appearing in the photo? Are drugs a true path to God? Why do some Masters die with illness and/or pain? they can seek the path of Enlightenment? How do I have a good relationship with my Master? What has been the most difficult teaching for you to master in this lifetime? What is the quickest way to break from the grip of karma? Is humanity’s pain symbolic of the birthing of a new era in human consciousness? How does one practice healthy sexuality? How can we purify ourselves? What is the most important thing to teach a child? Can you teach me a good grounding technique? How do I serve others without feeling depleted? Am I supposed to charge for healing work?